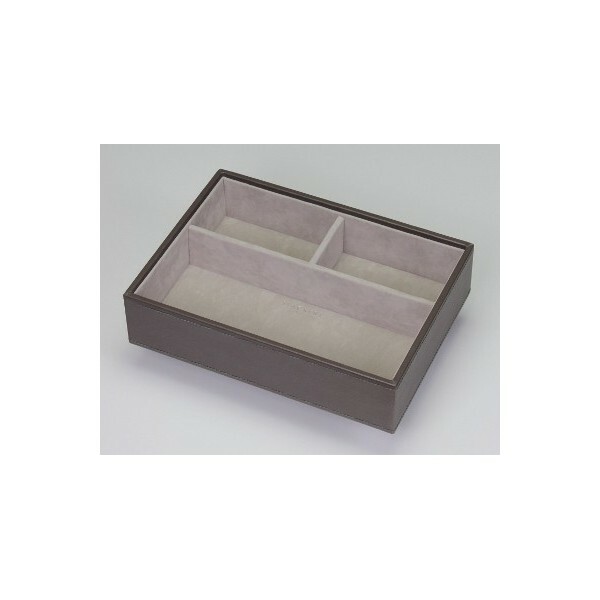 Mink deep stackable tray with three compartments and grey velvet lining. 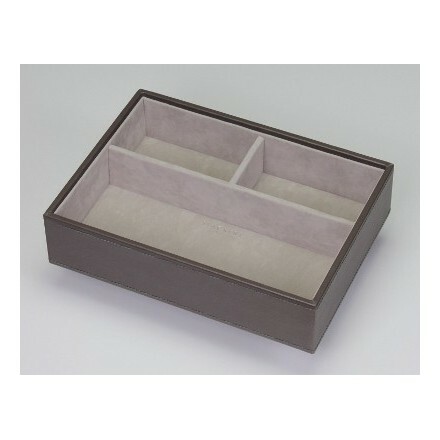 Mink deep stackable tray with three compartments for use with lidded stacking jewellery box or standalone on dressing table to store chunky items and ladies valet items. Grey velvet lining.